Leader of the UK Independence Party (UKIP) Nigel Farage has announced his resignation, days after spearheading a successful campaign to take Britain out of the European Union (EU). 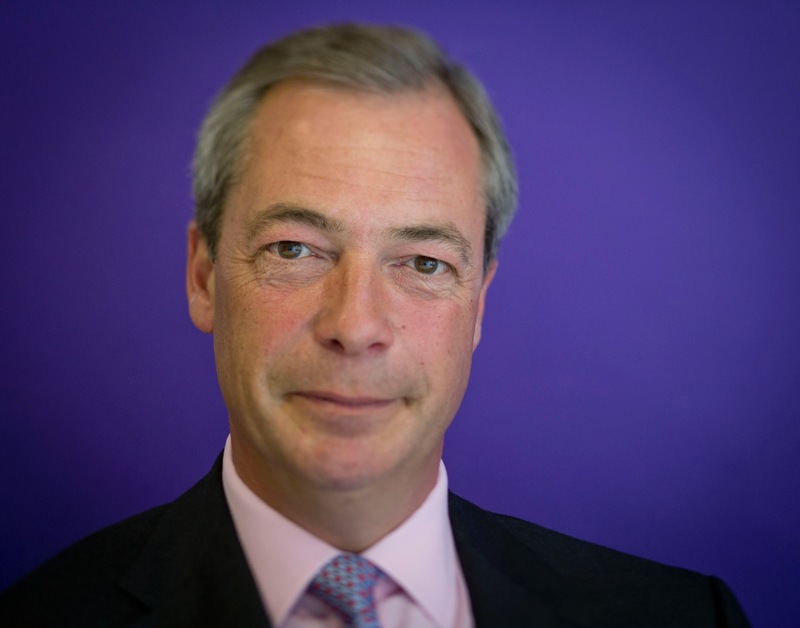 “I have decided to stand aside as leader of UKIP. The victory for the Leave side in the referendum means that my political ambition has been achieved. I came into this business because I wanted us to a self-governing nation, not to become a career politician,” said Farage, who was elected as a member of the European Parliament (MEP) for the party in 1999. “UKIP is in a good position and will continue, with my full support to attract a significant vote,” he said, while projecting a bright-looking future for his party. “Whilst we will now leave the European Union the terms of our withdrawal are unclear. If there is too much backsliding by the Government and with the Labour Party detached from many of its voters then UKIP’s best days may yet to come,” he continued. On June 23, 52 percent of British voters partaking in an EU referendum voted to leave the 28-member bloc. The vote sparked a political firestorm in the UK, leading to Prime Minister David Cameron’s step-down from power. This is while former London mayor Boris Johnson, the 'Leave' campaign’s main leader who was seen as Cameron’s favorite replacement, withdrew his candidacy on Thursday. The former mayor, who campaigned fervently for Brexit, said in a speech in the British capital that "having consulted colleagues and in view of the circumstances in parliament, I've concluded that person cannot be me." The announcement followed a bid by Justice Secretary Michael Gove to run for the next Conservative Party leader and prime minister. Firstly, I think he is probably very-very tired and fatigued after first the General Election and secondly the referendum campaign. Then there is in-fighting within his party which does not help. But I am not a conspiracy theorist with regard to his departure. Farage (and his party) set as their task to get the UK out of the European Union. That has always been their aim. Now we have had a referendum and the majority of our people voted to leave the EU. Technically Farage and UKIP's principal aim has been achieved. I suspect though that if there were to be significant backsliding by the absolute traitors and conspirators at Westminster he may return. The situation with Nigel Farage resigning after the referendum and withdrawal of Boris Johnson from major politics is a peculiar trend in UK political life. Farage quits before the results of the referendum began to be implemented. This may mean one of two scenarios. Either Farage has been threatened to quit by EU elite, which tries to rid the eurosceptic party of strong unpredictable leaders. Or it could have been a bargain before the referendum.